Decorative box, 2 volumes. Edited by Tie Yuang. 246+246 pp. The Complete Collection of Porcelain of Jiangxi Province presents world famous imperial Jingdezhen porcelain from the Qing-dynasty. 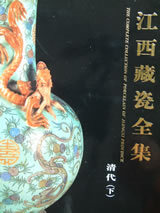 Items originate from various museums of Jiangxi province. The beautiful colour photos of the artefacts are accompanied by basic data in English and more detailed descriptions in Chinese. 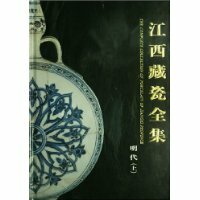 The book also offers a very good introduction to the history of Qing-dynasty Jiangxi porcelain in Chinese.